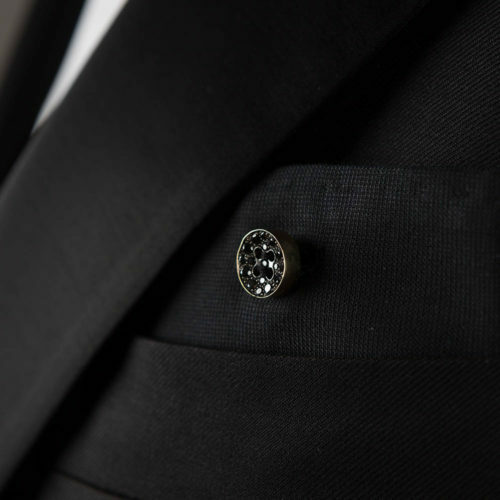 Heart of the Eyelet Milano Diamonds Collection is a precious gold button. 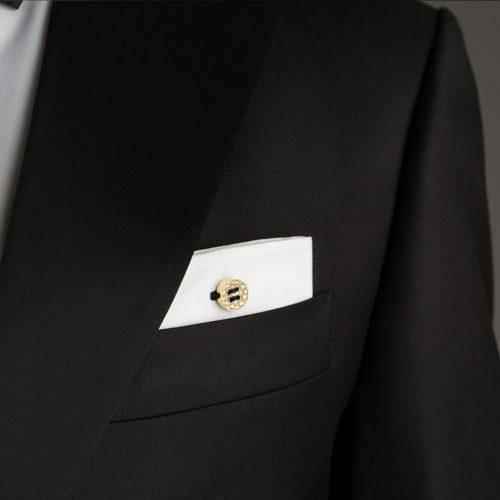 It is a superb collection that blends the excellent craftsmanship with precious and pure materials. 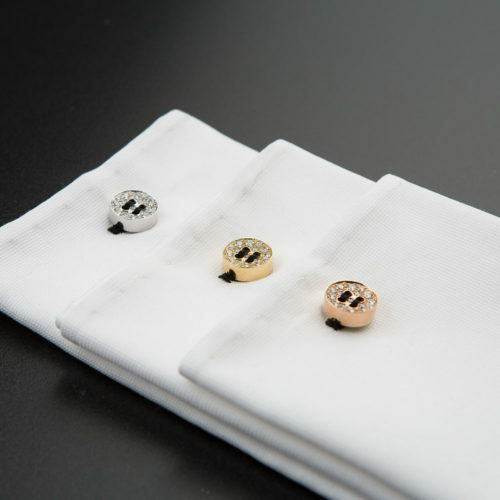 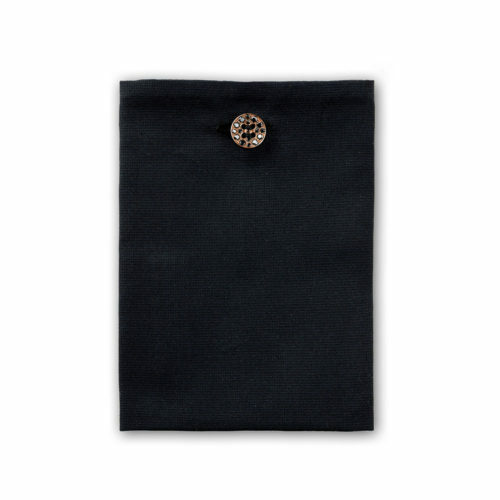 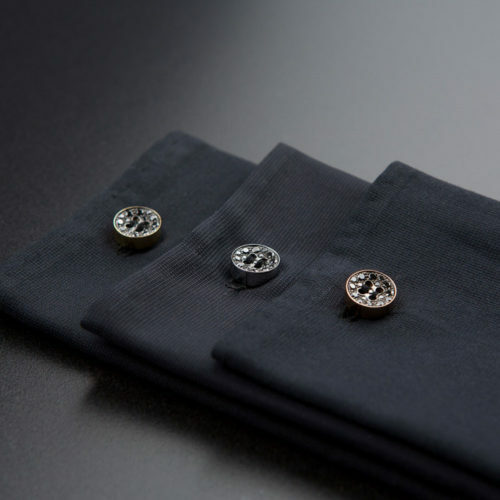 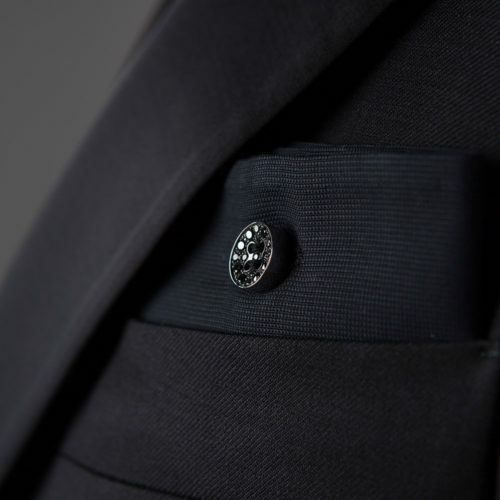 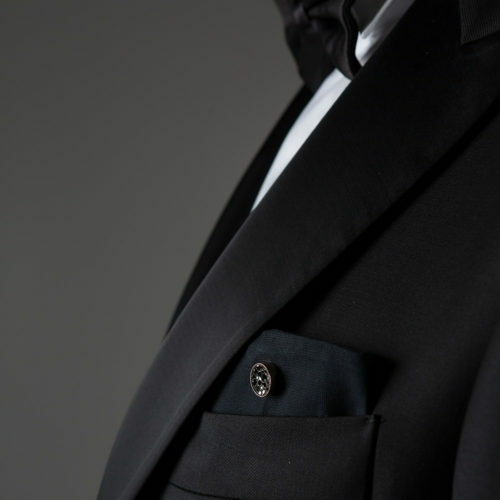 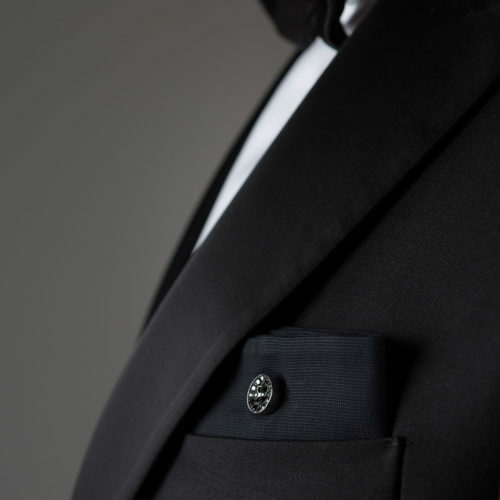 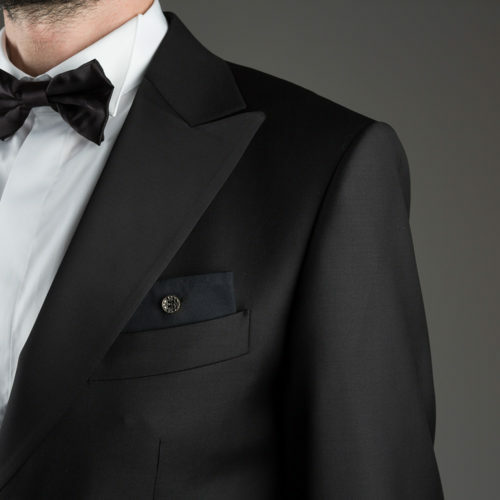 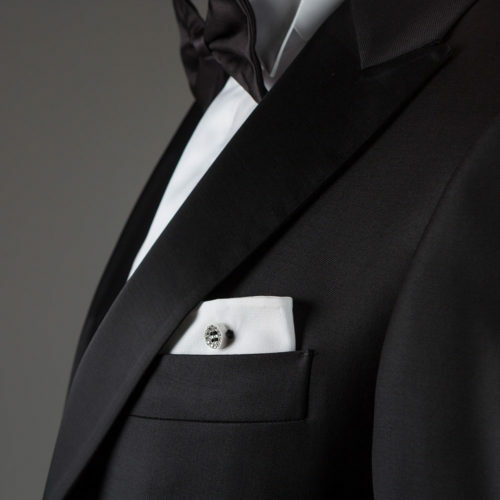 Pocket squares are made of precious and esteemed cotton and shine with unique light. 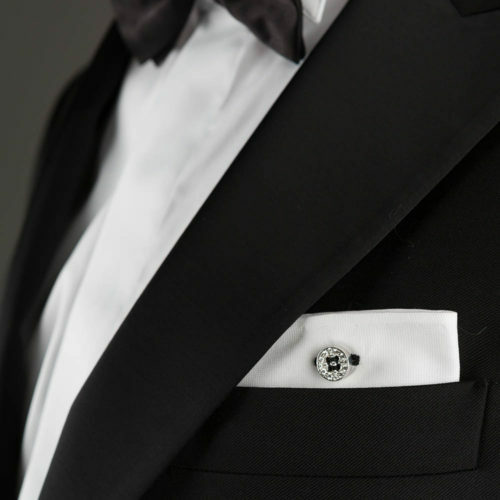 Black and White diamonds are the wonderful protagonists of the collection. 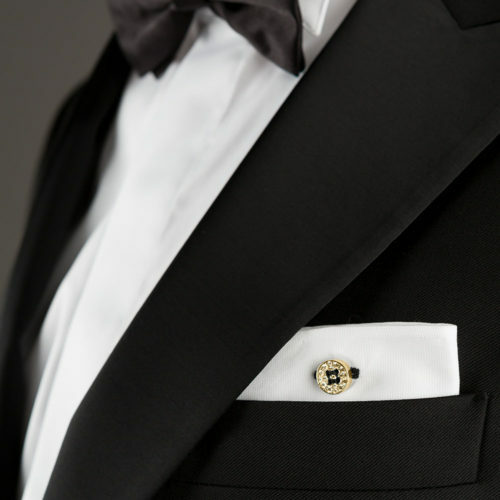 White diamonds collection of 0,350 carats and black diamonds collection of 0,415 carats with brilliant cut embedded into a yellow, pink or white gold button of 18 carats are created and magistrally crafted by skillful goldsmiths. 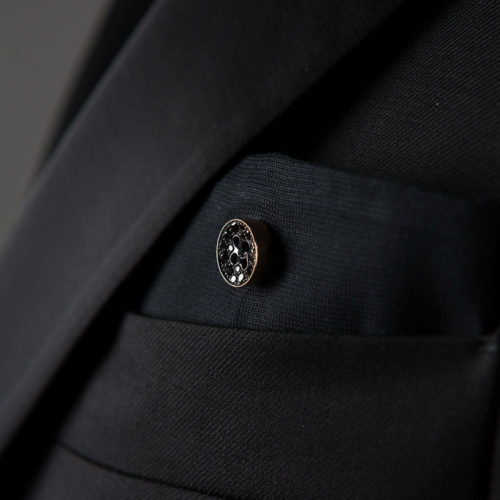 The black cotton eyelet on white piquet or black on black piquet looks original with an unexpected detail of jewels that express timeless class, contemporary style and refined taste.